Somebody’s … glitching again. Westworld fans don’t mind though; it’s actually the glitches that make the series more interesting, don’t you think? 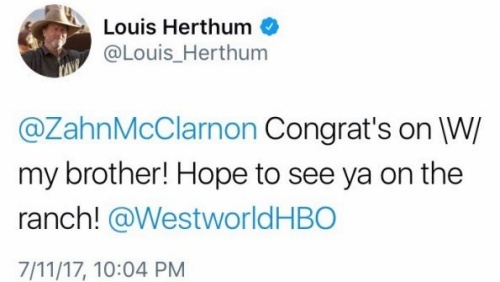 And this particular glitch deleted tweet by Louis Herthum — aka Peter Abernathy — let us in on what’s apparently supposed to be a secret. A certain glorious Fargo actor has joined the second season fray. No, not the bunny, silly — it’s Zahn McClarnon aka Hanzee Dent! Though McClarnon (Longmire, The Red Road) already has a jam-packed work schedule, he’s apparently made time to drop by the resort, though in what capacity (human, host) we don’t yet know. Even more intriguing is that Herthum quickly deleted his tweet welcoming Zahn, so I guess Nolan and Joy didn’t want us to know. Of course, Nolan seems to prefer we don’t try to figure out anything on our own, but he may as well have kissed that hope goodbye before it even passed his lips, because when it comes to Westworld, we’re always on high alert. Regardless, this is exciting news. 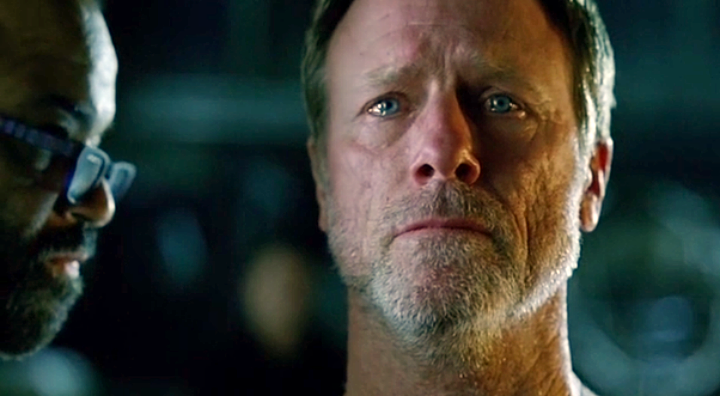 McClarnon is an excellent actor who’ll make a great addition to the series. Let’s just hope Maeve doesn’t kill him. Game of Thrones Is Such a Huge Draw, It Even Distracts People from … SAY WHAT?